After a long day’s work, it’s obvious you should come to an inviting, warm and cozy temperature at home. That’s is particularly so when the temperatures get chilly, which makes heating installation crucial. In any home particularly in areas where it can get really chilly, a furnace will help provide the warmth. 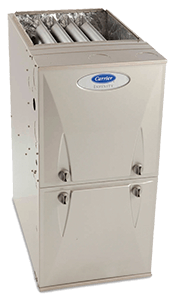 A furnace has a lifespan of 15-20 years. If yours is approaching 15 years or thereabouts, you should be shopping for a new furnace to replace. However, age is not the only factor. If your furnace is horribly inefficient and your bills have been rising, then it’s time to replace with an energy efficient one. Also, if the furnace keeps breaking down requiring costly repair, you should consider replacing it. Beckham & Jones Heating & Air Conditioning provides new furnace installation and furnace replacement for both the gas and electric furnaces. If you live in areas that require moderate heating and cooling, a heat pump is the most ideal. It moves the hot air outside and cool air inside to maintain a proper balance for your comfort. Has your heat pump developed issues and requires replacement rather than just a repair, we are the experts. Looking for heating service in Huntsville, Texas areas? Beckham & Jones Heating & Air Conditioning has experience spanning more than 60 years. For the heat pump, furnace, and heater replacement & installation, schedule an appointment or call us at 936-755-4249.